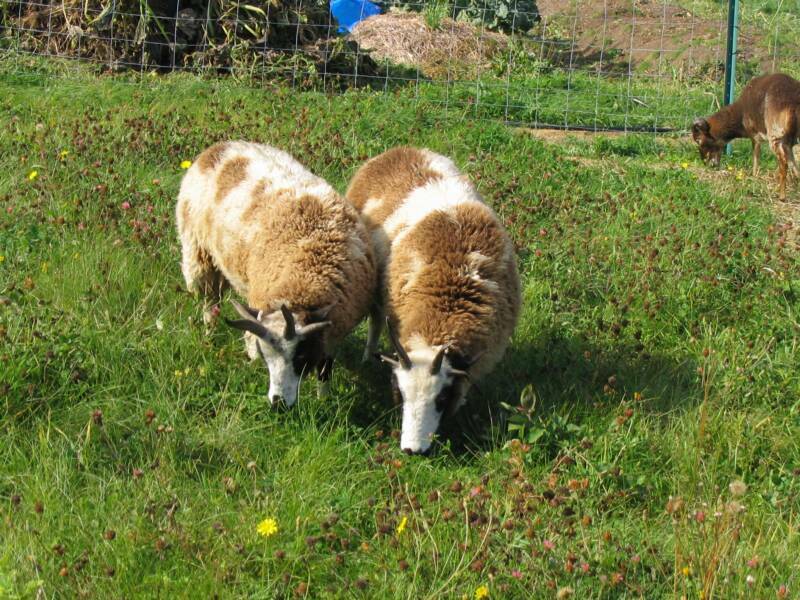 We raise rare breed sheep for the purpose of propagating these breeds, using their wool, and breeding to provide animals to other like minded people. The sheep are fed grain, browse on untreated pasture/brush and fed local hay. They are treated individually with antibiotics if parasites are severe and are routinely wormed with herbal treatments. Kilda and Fiesta, a Soay and a Shetland. Kilda and her daughter, Baby (aka Pabbay). Clare and Susannah, Jacob ewes. 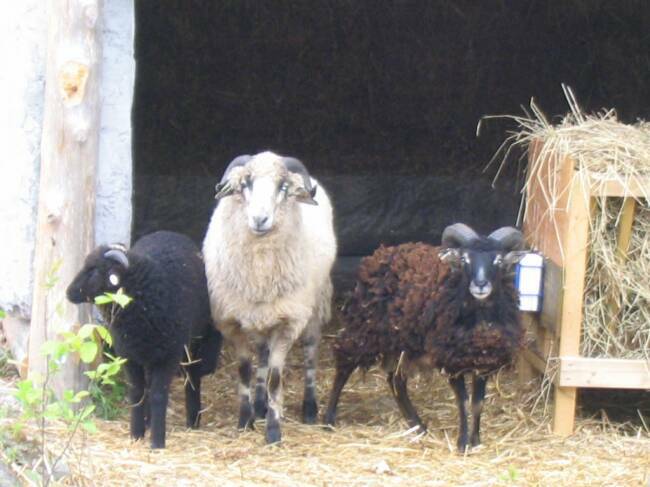 Edie, East, and Drift, all Navajo-Churro lambs. Two of our rams, Ranger and Beasley, and a wether.